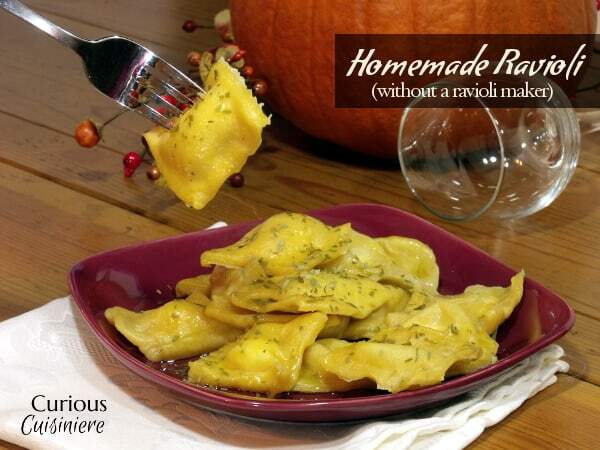 Soft and tender Homemade Ravioli will make you feel like the best Italian chef in the kitchen. With our easy, step-by-step guide you’ll learn how to make ravioli without extra gadgets. 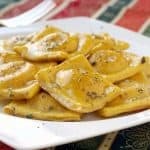 Homemade ravioli may seem like an intimidating task, but once you get through your first batch, you will realize how simple it really is. Sure, it can be a bit time-consuming, but there are two fields of thought here. First, you could take a little extra time and make a BIG batch. 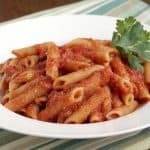 For maybe an extra half hour of rolling and filling you will have a freezer stocked with homemade ravioli goodness for whenever the craving strikes. These ravioli freeze incredibly well. Typically, this is the route we follow. Or, you could just make a small batch. Your cutting and rolling time will be reduced since you’re only dealing with a few. If done this way, ravioli doesn’t end up being an unwieldy process in the slightest. So, get ready and hang on. We’re going to walk you through the process of ravioli making step-by-step. 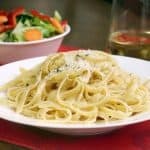 The recipe at the end contains all the steps with just a few pictures for quick reference. Once you mix your dough together, turn it out onto the counter and knead it until you have a smooth and soft ball of dough. Then, the dough gets covered and let rest to relax those gluten proteins. If you’ve ever rolled out dough that kept springing back to a smaller shape, then you know what happens if the gluten proteins aren’t relaxed enough. Letting it rest will make rolling the dough easier. 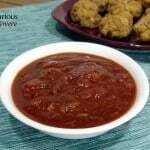 And, it gives you time to clean up, make your filling, and start your sauce. 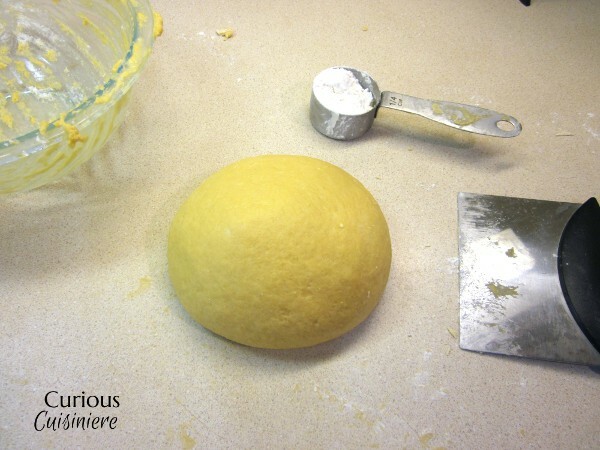 Now that the dough is nice and relaxed, it should be easy to roll it out. 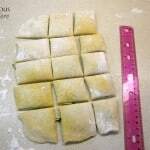 We don’t have a ravioli making tray or stamp, so we’ve found an easy way to construct and cut the ravioli without the added tools. 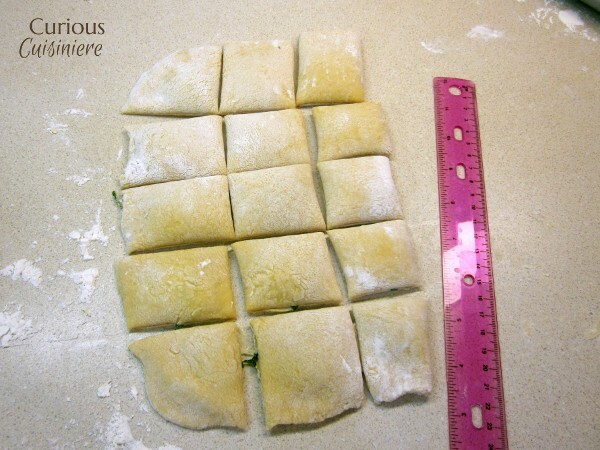 Place 1 teaspoon of filling about 1 inch apart in even columns and rows to cover half of your dough rectangle. 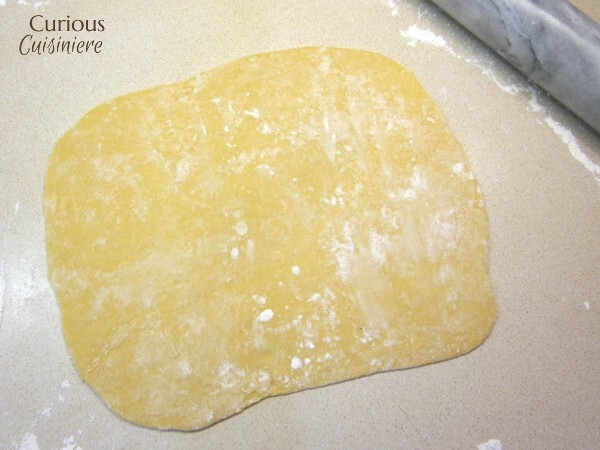 Before adding the top layer of pasta to the ravioli, you will want to moisten the dough around the filling dollops. This will make the dough a bit stickier, allowing the top layer to stick to the bottom layer. Then, the half of the dough that doesn’t have filling on it gets folded over the filling. Gently fold and situate the dough. Once it is situated where you want it, take a look at the filling bumps. 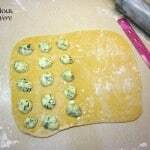 Use the side of your hand to press the dough together between the bumps, accentuating the pockets of filling in each ravioli. Now, you’re going to cut the ravioli apart. Take each ravioli and give the edges one last press to seal the edges. This will accentuate any filling pockets that flattened out. If you are cooking your ravioli immediately, they can go directly into a pot of boiling, salted water. 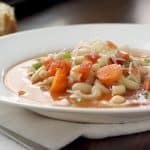 Simmer them lightly until they float (1-2 minutes). 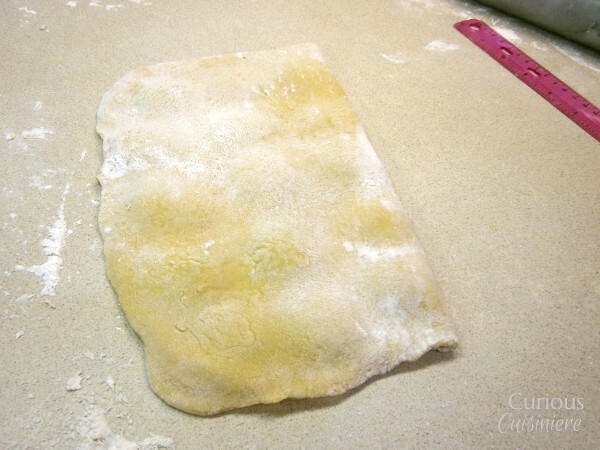 If you want to freeze your homemade ravioli, place them in a single layer on a parchment or wax paper lined baking tray. Freeze them like this for 30 minutes, until they are solid. Then, they can be transferred to an air-tight container or bag to be stored in the freezer for up to 6 months. When you’re ready to cook your frozen homemade ravioli, just drop them straight from the freezer into a pot of boiling, salted water and simmer them until they float (2-3 minutes). Now get into your kitchen and let’s make some ravioli! 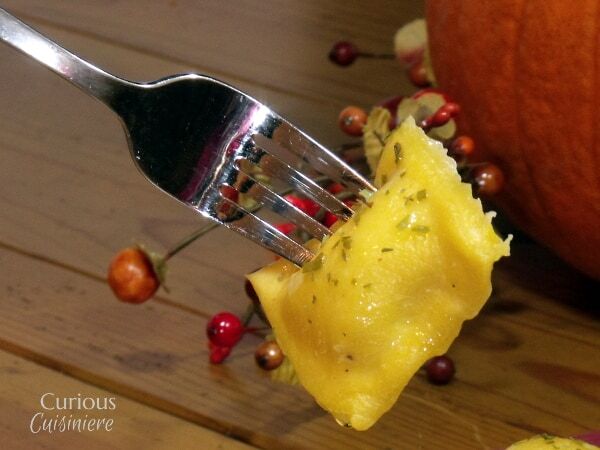 Soft and tender Homemade Ravioli will make you feel like the best Italian chef in the kitchen. With our easy, step-by-step guide you'll learn how to make ravioli without extra gadgets. Place 3 ¾ c flour in a medium bowl. Make a well in the middle of the flour and crack the eggs into the well. 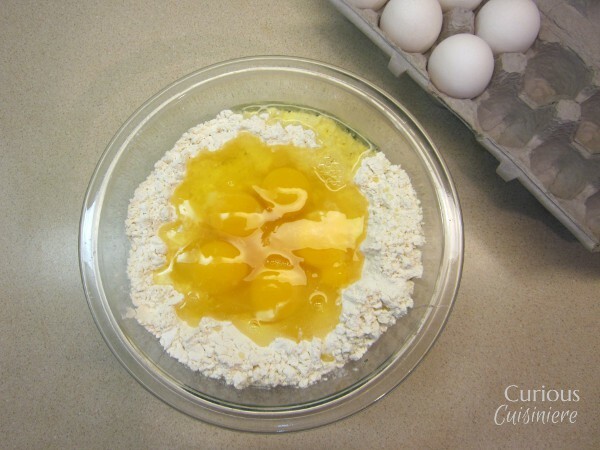 With your hands (or a spoon/spatula) gently mix the eggs into the flour until a soft dough comes together. While the dough is resting, make your filling. Squeeze any excess moisture out of the spinach. (You don’t want your filling to get soupy from the spinach moisture.) 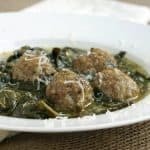 Mix the dry spinach with the ricotta cheese, beaten egg, herbs, and salt. Set aside. Divide the dough into two portions. Cover one portion with a towel so it doesn’t dry out while you work with the other. 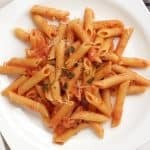 Place 1 teaspoon worth of filling evenly spaced (roughly 1 inch apart) in 3 columns and 5 rows for a total of 15 mounds of filling covering slightly less than half of the rolled out dough. Using your fingers, brush a little water on the dough between the filling mounds. Fold the empty side of the dough over the filling, matching up the edges of the dough. 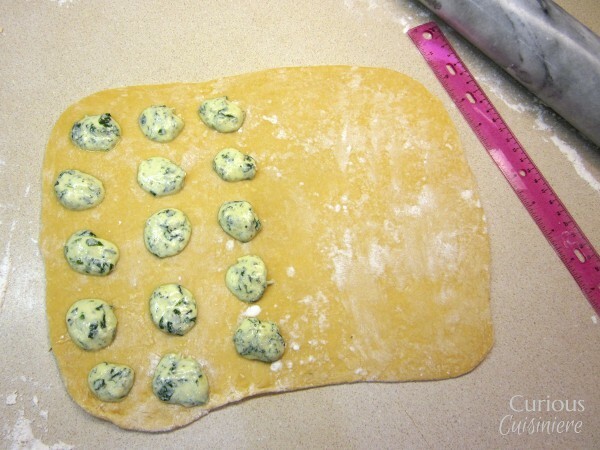 Press the edges of each ravioli together to seal in the filling and place them on a parchment-lined baking sheet. Boil ravioli in salted water for 2-3 minutes, until they float. 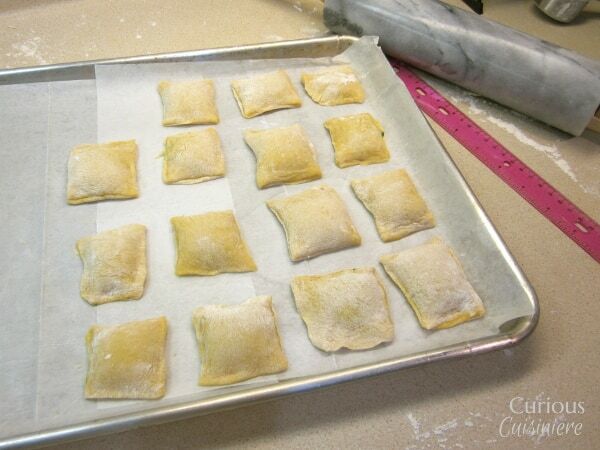 Freeze ravioli on the baking sheets for 30 minutes. 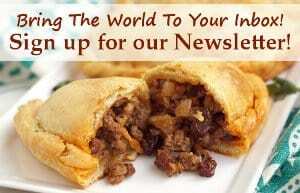 Transfer frozen ravioli to an air-tight bag or container and store in the freezer for up to 6 months. To cook, boil as directed above from frozen. Thanks Simon. 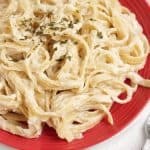 Homemade pasta is so good! And the process is incredibly rewarding. 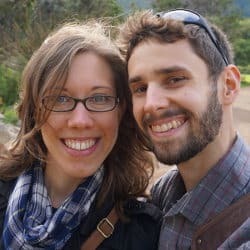 We hope you try it!